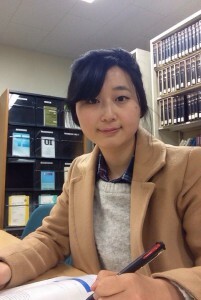 In 2012, I was studying in Saitama University as a research student. At that time, I had opportunity to join in seminar of International Economics and took some subjects of GG course. I was attracted to this major, especially seminar. The main reason I chose this major is that I hope to enter an International Institution in the not-too-distant future. It is necessary for me to learn much more and take the master`s degree. At the first, I was afraid that I would fail to enter an International Institution. But professor told me that failure is a right of the young. Because you are young, you have opportunity to start again. My current research is about the U.S. Monetary Union Experience. Perhaps the financial and political integrations are not always necessary to the monetary union. Because I`m from developing country, I`m interested in economics of the developed countries. In the last two years, I feel my knowledge has expanded to a new area, and I have many opportunities to learn much more things I have never learned before. Although I sometimes have a hard time understanding some of its theoretical aspects, I will try my best to become a person who can contribute to society.